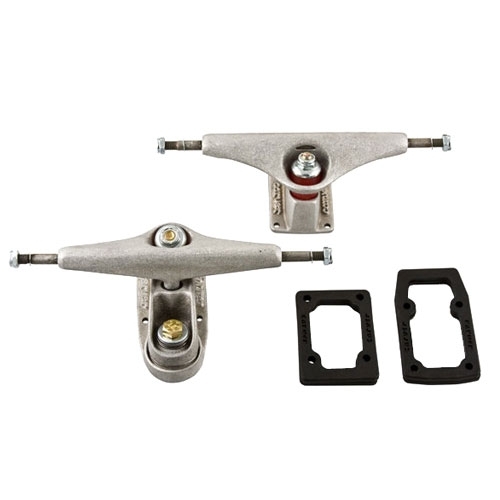 Carver Skateboard Trucks C7 6.5″ – Many companies have claimed to make skateboards that feel like surfboards, but only Carver has the patented C7 truck system. The C7 uses a swing arm with its own kingpin and internal spring that creates an additional axis of rotation which allows for lateral thrust when pumping. What does that actually mean? 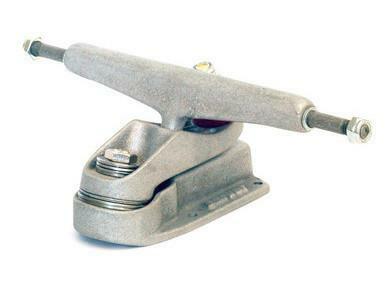 You can build up speed just by carving and you can cut back on a dime just like a surfboard! Simply put, it is exactly what everyone has been waiting for when it comes to recreating the feel of a surfboard on the street. The back truck is the C2, standard with every Carver board and made specifically to work with the C7 front truck.